Chiropractic adjustments are all about getting the bones and joints of the body into correct alignment for better function. There’s no age limit on that! Think of childhood chiropractic treatments a bit like visiting the dentist. You don’t take your children to have their teeth checked because you know there are problems, you do so to prevent them. The same goes for visits to the chiropractor. Dr. McMahan and the rest of the Revelation Chiropractic focus on using adjustments so the body can function optimally and reduce the risk for injury. Just as you take your kids to the dentist for optimal oral health, bring them to your local chiropractor for optimal bone, joint, and nerve well-being throughout childhood and into adulthood. It’s never too early to bring your child in for a chiropractic assessment and adjustment. At Revelation Chiropractic, we use non-invasive, scientifically proven techniques that are gentle enough for even infants. In fact, Dr. McMahan actually recommends starting chiropractic adjustments soon after birth to help prevent issues that may develop from any misalignment that happens during the birthing process. Early adjustments help keep bones and joints in better alignment so your child’s body can grow well. The growth process can put a lot of strain on a child’s body. Bones are growing and muscles, joints, and ligaments all have to grow and flex with them. Spinal problems or other misalignment issues can occur at any point throughout childhood because the body is going through so many changes and adjustments. This is why it’s important to bring your child in for regular chiropractic adjustments. We can make sure that bones and joints are all where they ought to be, catch any potential problems as they start developing, and help prevent future issues from occurring. Chiropractors focus on the spine and nervous system. Since this is the core of our ability to move and feel, when the spine gets out of alignment, even slightly, it can have far-reaching effects throughout the body. At Revelation Chiropractic, our chiropractic care is tailored to the individual, so you don’t need to worry about an adjustment being too much for your child. We will examine spine alignment, joints, and movement to make adjustments as needed, and as appropriate for your child. For infants and young children, this is likely going to be as mild as light fingertip adjustments to ensure correct alignment. If your child has an injury, there may be some sensitivity during treatment, but otherwise, the adjustment process is painless. That’s not a comprehensive list, either. Chiropractic care can also help children who have autism and, as we mentioned above, serve as a non-invasive alternative to medication and surgery for many injuries. You can learn more about the Torque Release Technique, which Dr. McMahan uses to make adjustments, and see how safe and effective it can be to provide adjustments for children and adults alike. Want to learn more? 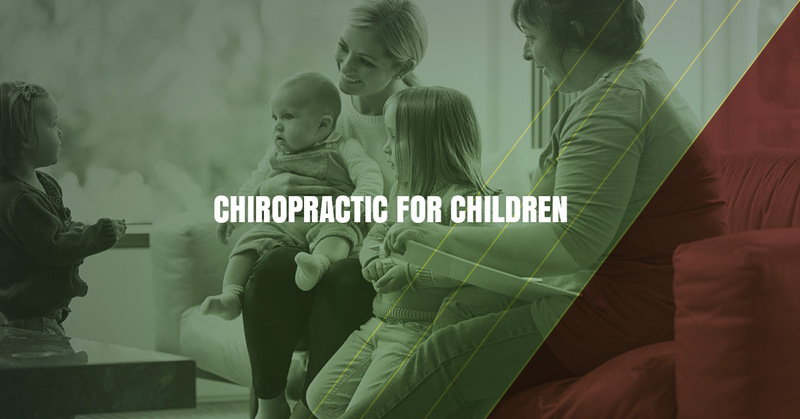 Contact the Revelation Chiropractic team to schedule an assessment at our Fort Collins office and help give your child a solid physical foundation!